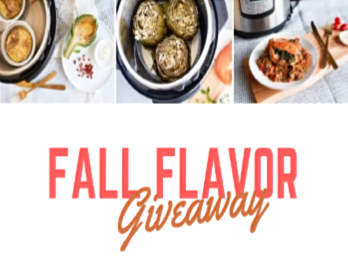 Oceans Mist Farms Fall Flavor Giveaway – Win an Instant Pot & more! Win an Instant Pot and a crate of Ocean Mist Farms artichokes (6 winners)! SWEEPSTAKES ENTRY PERIOD – Fall Flavor Giveaway commences at 12:00:01 AM Pacific Time (“PT”) on September 27, 2018 and ends at 11:59:59 PM PT on November 9, 2018. Six (6) Prizes consisting of: one (1) Instant Pot® 60 7-in-1 and one (1) crate of premium Ocean Mist Farms artichokes. The approximate retail value (“ARV”) of each Prize Pack available to be won in this Promotion is $120.00 USD. The name of the Prize winners will be available after November 12, 2018.